Play Super Lucky Frog for real! One of the most popular themes used by the Netent developers are fairy tales, fables and folklores. Jack and the Beanstalk is a well-known fairy tale and can be found in the Jack and the Beanstalk video slot. Maybe not familiar with everybody is the Leprechaun, known for his green costume, his long beard and his high green hat playing the leading role in an Irish folklore and in the Golden Shamrock video slot. Who doesn’t know this smart guy, stealing from the rich to help the poor, as it is of course Robin Hood who cannot be missed in another quality video slot that can be played at the many Netent Casinos. This same smart guy can also be found in Super Lucky Frog, together with some other enchanting figures such as a unicorn, a fairy and of course the frog, while snails, butterflies, ladybugs, goblins, toadstools and griffins can be found on the symbols as well. Although there’s not really a storyline, many players love this oldie and most probably the three progressive jackpots have something to do with this, just as the many extra features this Netent game is offering. Besides the 25 bet lines, all finding a different way from the left to the right, there are also four levels to bet with and six different coin values to choose from. It is possible to start with a 0.01 bet, playing with only one bet line, but I do recommend to play with at least the maximum amount of 25 bet lines as your chances to win will increase. This means you can play with a minimum bet of 0.25 and a maximum bet of 50.00, available in different currencies depending on the Netent Casino you will be playing. The control panel includes, besides the levels and the coin values, also a convenient spin button used to start or stop the five reels. Besides that you also have the option to select up to 1000 automated spins thanks to the Autoplay button, at least until the bonus game starts, as it’s up to you the spin the bonus reel for an extra bonus prize or one of the three progressive jackpots. Once upon a time, there was a player, and that player could be you. This player was enjoying the many enchanting symbols, especially the Wild as this one substitutes for all other symbols except Scatters and Bonus symbols. The story goes on as the Scatter brought even more happiness in the player’s life. 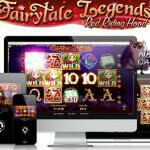 Mostly because the scattered fairy can be responsible for many instant wins and Free Spins. 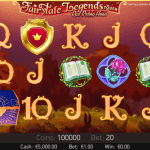 Once the fairy appears at least two times anywhere on the reels, you’ll win 2, 4, 50 or 400 times your total bet stake when two, three, four or five Scatters appear respectively. 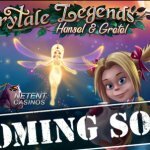 Even more magic could be the result after 10, 20 or 30 Free Spins will be activated when three, four or five of the scattered Fairy appears in any position. 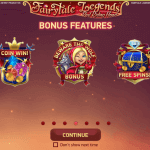 If not enough magic yet, all winnings from Free Spins will be tripled as well and with all these extra features there’s a big chance the player lives happily ever after. Besides the magical features, I do think the most important reason why so many players like Super Lucky Frog is eventually the idea of winning a jackpot as there are three progressive jackpots to be won named the Froggy Jackpot, Lucky Jackpot and the Super jackpot. Even though many will already see a happy ending when winning the Froggy Jackpot, many will go for the Super Jackpot as it’s the biggest of the three. The amounts they contain will be different at all Netent Casinos as they are local jackpots we are talking about here. 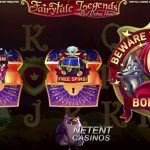 This simply means that only local players, those playing Super Lucky Frog at the same Netent casino as you are, will be responsible for the raise of these online casino jackpots. Whether you believe in fairy tales or not, the Super Lucky Frog is definitely worth a try as fairy tales not only start with ‘Once upon a time….’, they also end with ‘…and they lived happily ever after’ which simply means a happy end. Therefore I recommend to give Super Lucky Frog a shot at one of the Netent Casinos, because let’s be honest, who doesn’t love happy endings? 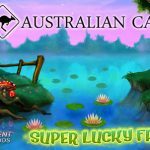 Super Lucky Frog is one of the oldest Netent video slots and one of the most recognizable ones as this video slot has been around for a while. The design of this video slot became familiar to many millions of players and Super Lucky Frog contains all the standard features such as the Wild, Scatter, Free Spins and if not enough it even has a bonus game that could be responsible for the happy ending we are all longing for while playing an online video slot.